Hi friends. Have you ever painted fabric? I have not, but have been reading up on painting upholstery and stalking other bloggers’ pages to see their results and I have to say that I am amazed at their transformations. 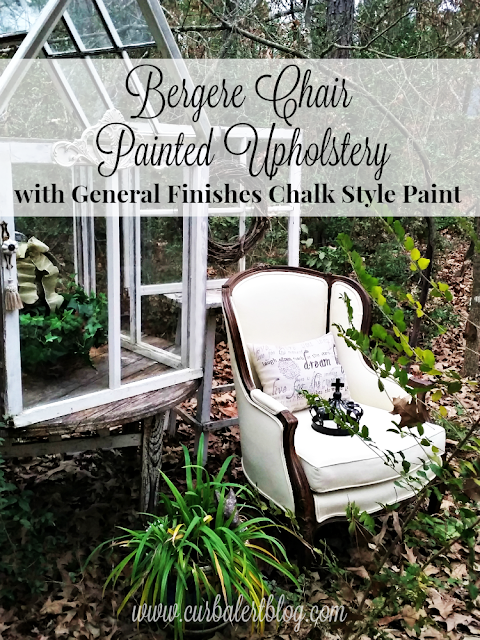 This month I am joining in on the Fab Furniture Flippin’ Contest hosted by General Finishes Paint Company. Our theme is “A Fresh Start”. 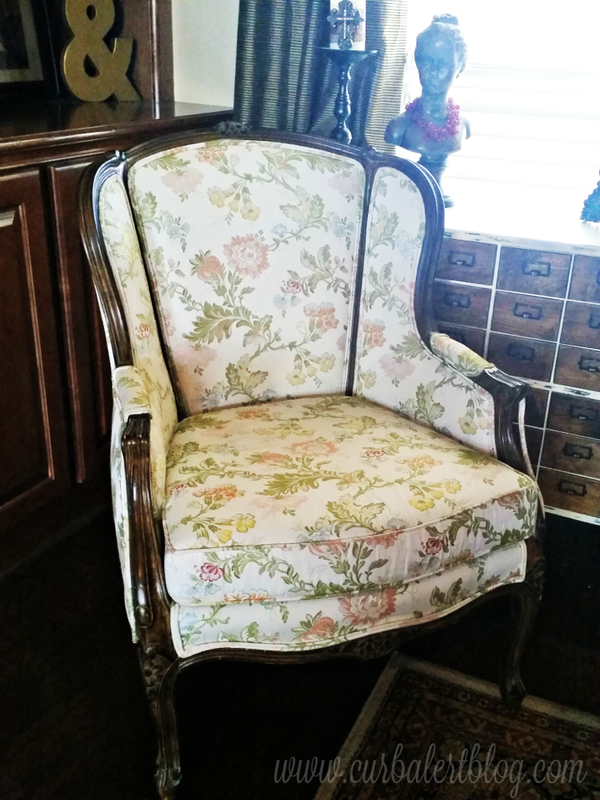 When Mom and Dad gifted this piece to me I thought it would be the perfect candidate…Grandma’s Bergere Chair! First, a little about the contest! 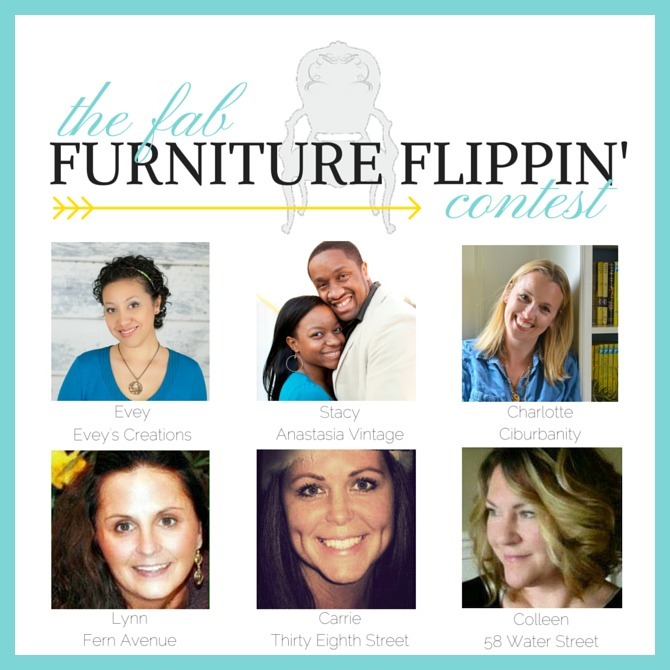 The Fab Furniture Flippin’ Contest is a monthly contest sponsored by fabulous brands where bloggers can enter to win fabulous prizes. Each month is a different theme, which makes it fun and unique. To learn more about contest details or to enter future contests you can contact our hosts at info@fabfurnitureflippincontest.com. 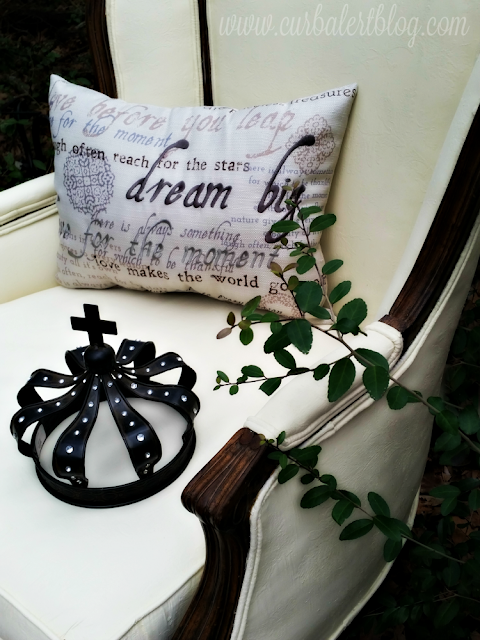 Anastasia Vintage or Evey’s Creations. As mentioned above, our contest this month is sponsored by General Finishes. 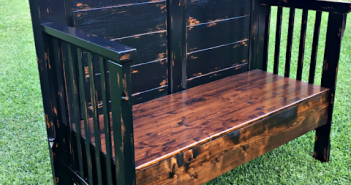 Please note that some or all of the hosts of The Fab Furniture Flippin’ Contest receive monetary and/or product compensation from the sponsoring brand, General Finishes, in order to complete their themed projects. General Finishes will also provide the prize package for the contest winner. 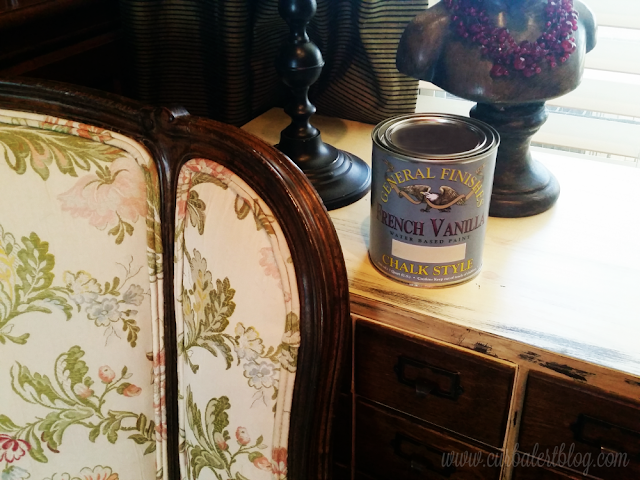 General Finishes was gracious to send me a can of their Chalk Style Paint in a beautiful French Vanilla color. I have worked with chalk style paint before and love the texture of the paint. It is water based which make cleanup a breeze! They also sell a variety of beautiful colors in Water Based Paints, Chalk Style, Milk Based, Pearl Effects and Glazes. I will definitely head over to General Finishes again to try some more painting techniques in the future. 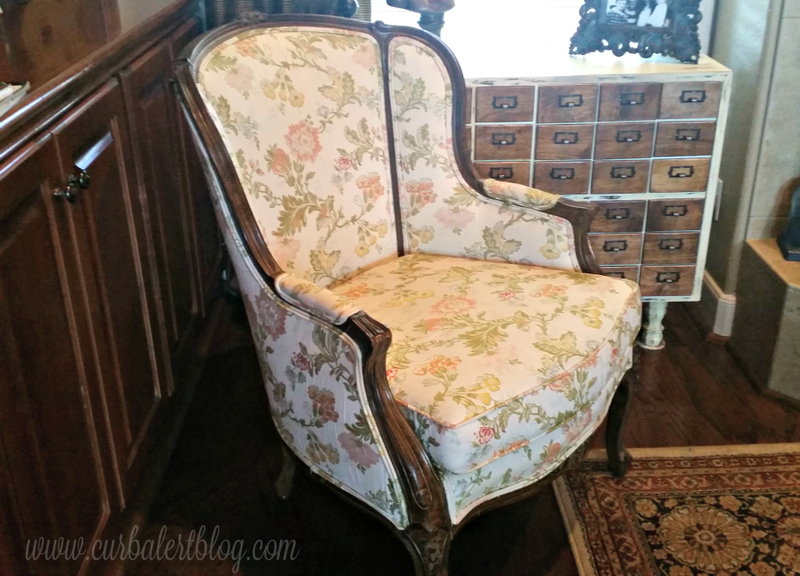 Now back to Grandma’s Bergere Chair Makeover. I’ve learned some great tips from my blog friends’ at Fresh Idea Studio and Artsy Chicks Rule. I will spare you the painting tutorial because they have done a fabulous job of explaining the process. Instead, I will just leave you with my pretty makeover. I cannot even express how thrilled I am at how it turned out. I painted the chair upholstery and cording with three coats of paint, allowing them to dry 24 hours between each coat. Best tip that helped me out tremendously was to spray my brush with water from a spray bottle before every time I dipped my brush into the paint and then applied thin coats to the fabric. This ensures that the paint soaks into the fabric rather than lay on top of the fabric, leaving a much softer finish. 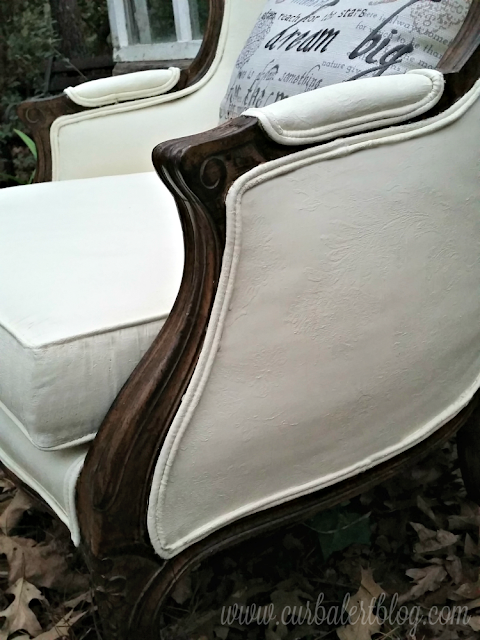 It has the look of a soft leather that I think updates the chair by a few decades! Up close you can still see the texture of the fabric which is a pretty added detail. Finally, I applied a coat of soft clear wax and buffed it gently with a soft thick paper towel for that added layer of protection. You would think it would feel hard or stiff but the wax softened it up even more. Again, thank you General Finishes for allowing me to try out your amazing paint products. 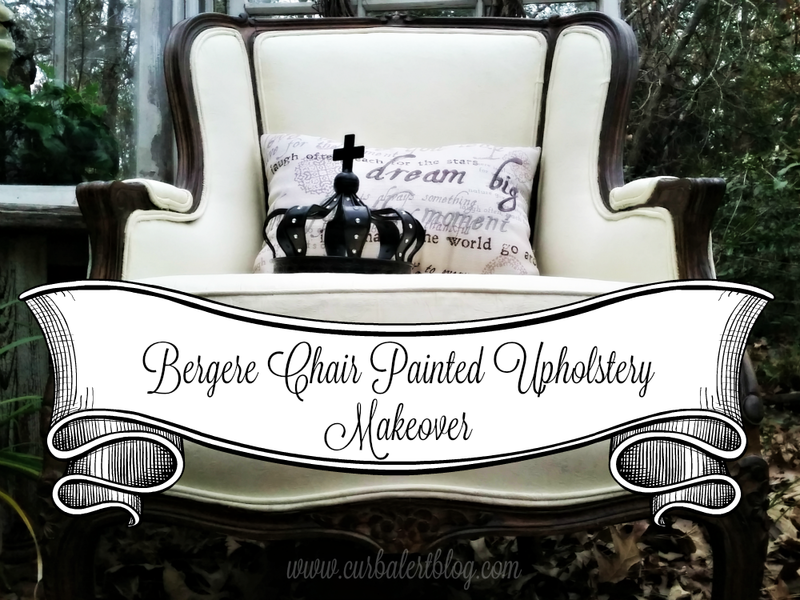 I am looking forward to many more painting makeovers in the future! P.S. You can see more of my Glass Terrarium in my Welcome to Our Woods post! Next Article Stenciled Dresser for Themed Furniture Makeover Day! How beautiful! Nice job – thanks for posting the details. I may give it a try after seeing your success. What a fabulous looking chair-well done! 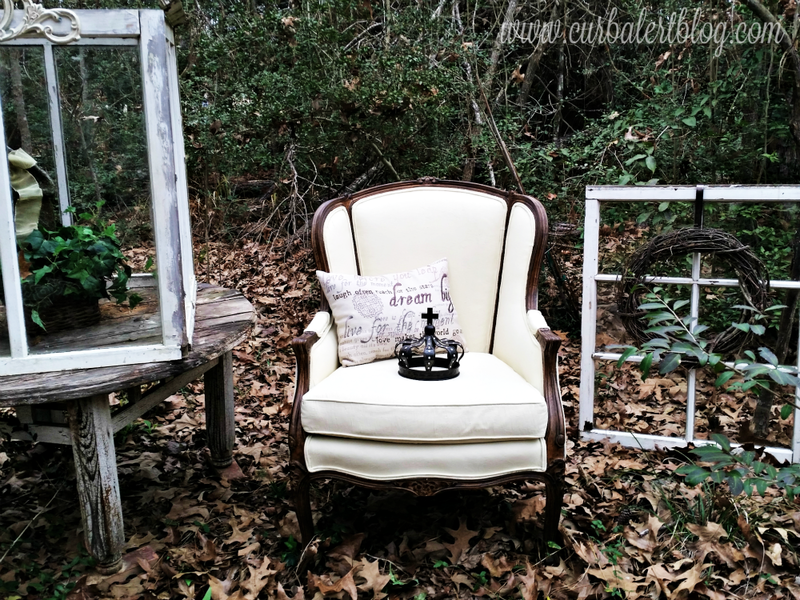 Ilove how you transformed that chair! Beautiful. You did a great job! 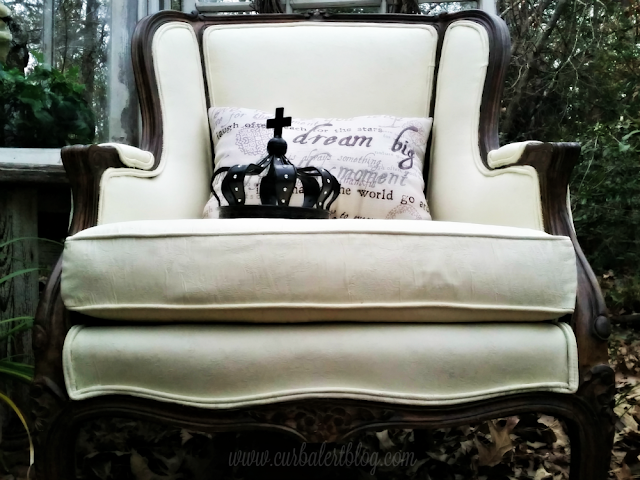 I've chalk painted a few upholstered pieces now and I've learned more with each piece. You did amazing on your first piece! 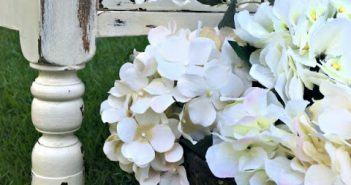 Going to try spraying the brush next time – great tip. 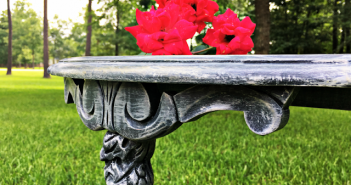 beautiful job Tami! I think your "new" chair looks fabulous, and happy you didn't pain the wood, especially since it was your grandmother's chair. I've seen some painted furniture in a shop full of artistic items! It looked as if they held up very well and since then I have wanted to try it. I love the tip about spraying the brush. 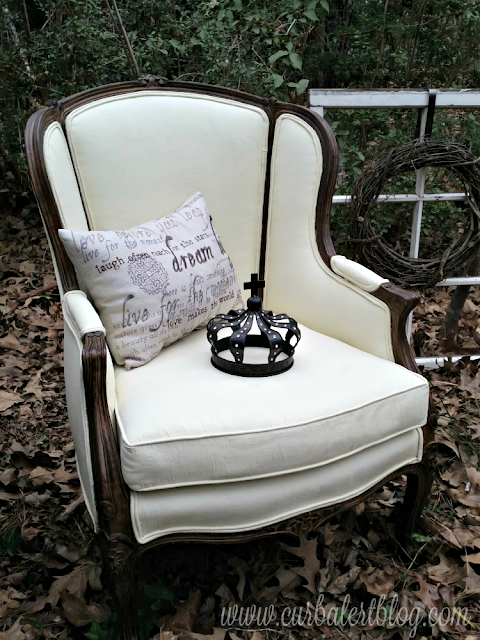 Your chair turned out FABULOUS! What a Beautiful Chair. Great Job! I do have a question though, Can after you paint it apply a stencil? I have a wing back chair and would like to paint it but would like to add some intrest to it. I was wondering if after you applied the coats of paint if a lighter shade could be added in the way of a stencil to add some dimension?